On New Year’s Eve, an over-worked and under-inspired single guy who’s had enough of holiday cheer makes a resolution: to stay home and go to bed early. On another New Year’s Eve — a continent away and more than a century earlier — Hans Christian Andersen’s "Little Match Girl" tries unsuccessfully to sell her matches in the snow. The two stories are brought together when a young woman selling special full-spectrum holiday light bulbs to combat Seasonal Affective Disorder shows up at the grumpy man’s door. Though the man (who probably could use the bulbs) seems to enjoy the young woman’s company, he sends her away. Its not until he reads "The Little Match Girl" that he’s finally pulled out of his funk. Through simple, unpretentious theater created through the voices and instruments of the performers, "Striking 12" reminds us that the world looks new on the first day of the year. 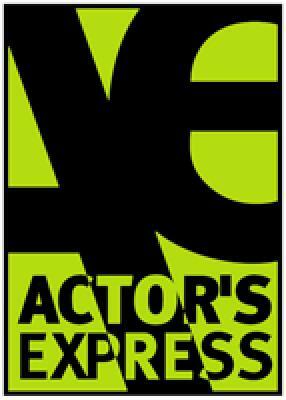 Enjoy this show at Atlanta’s Actor’s Express. Last year at Synchronicity; this year at Actor’s Express. Largely the same group of actors and musicians are presenting the New Year’s Eve GrooveLily musical "Striking 12." The change-up this year comes with the keyboardist. Instead of a female keyboardist with a few bits in the show, we have a male keyboardist (Nicholas Silvestri) and a female vocalist (Shelli Delgado). Given Miss Delgado’s immense stage presence and comic range, the change is overall for the better. Like last year, the sound levels are loud. Connor McVey’s drums and Ian Palmer’s bass guitar underlie the vocals and come close to drowning them out at times. Cale Brandon’s violin, Nicholas Silvestri’s keyboard, and Daniel Burns’ guitar play at volumes that support the vocals without overwhelming them. Excellent musicianship is on display throughout. Daniel Burns, battling pneumonia, still makes the central figure of The Man an empathetic loner. Emma Palmer McVey sings the Little Match Girl effectively, but her side trips into ensemble roles dilute the poignance of the Little Match Girl’s plight. Paige Mattox is a joy to behold as the SAD (Seasonal Affective Disorder) Light Seller and as all her ensemble characters, and Robert Hindsman and Ms. Delgado play the comedy of their small roles to the hilt. Voices are all excellent. The story, a mash-up of Hans Christian Andersen’s sad tale with the situation of a modern man’s self-isolation, takes the tale’s inherent sadness and adds an optimistic twist to create a satisfying ending. Production elements are minimal. There’s a blue-lit cyclorama behind the band, a few lit-up fake Christmas trees to the sides, some luminaries, and a bank of microphones at the edge of the playing space. Headgear, coats and shawls, and a few collections of Andersen’s tales provide costumes and props. There are a few crowd-pleasing forays into the audience, most notably near the end when SAD light strands are draped around the necks of a few lucky individuals before the final strand brings a glow to The Man, no longer isolated and depressed on New Year’s Eve.